Julian Turner Garden Services Ltd will make no attempt to track or identify individual users, except where there is a reasonable suspicion that unauthorised access to systems is being attempted. In the case of all users, Julian Turner Garden Services Ltd reserves the right to attempt to identify and track any individual who is reasonably suspected of trying to gain unauthorised access to computer systems or resources operating as part of Julian Turner Garden Services Ltd's web services. As a condition of use of this site, all users must give permission for Julian Turner Garden Services Ltd to use its access logs to attempt to track users who are reasonably suspected of gaining, or attempting to gain, unauthorised access. 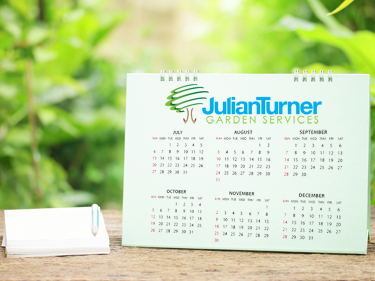 All log file information collected by Julian Turner Garden Services Ltd is kept secure and no access to raw log files is given to any third party.